While you may not immediately realize it, this quote can easily be related to the area of health and beauty. Stop and think about it for a minute. Sure, you want to be in good health and look your best, but these desires can easily be replaced by the thought of a delicious (and calorie laden) meal or a relaxing nap instead of a trip to the gym. So, where does that leave you? What should you do? That’s where we come in. This magazine is dedicated to bringing you everything you need to know about good health. From articles detailing the importance of developing natural ways to deal with anxiety and stress to articles explaining the significance of proper food storage to prevent foodborne illnesses, we have compiled the important information you need to help you maintain your good health, as well as your youthful appearance. Without further ado, it is time to get started. Unless you’re a huge pasta buff, you’ve likely been overwhelmed when strolling the seemingly endless aisle of pasta at your local grocery store. After all, you can choose between everything from rigatoni and tortellini to the much easier recognized spaghetti strands and macaroni. To make it easier for you to determine which pasta will best fit your needs, here’s a quick look at the many different types of pasta and their uses. But, first, here’s a brief history of almost everyone’s greatest weakness. Although pasta is synonymous with Italy, there are several theories as to where it originated. Some believe that pasta is actually a descendent of Asian noodles that was brought to Italy from China by Marco Polo in the 13th century, based on a passage written by the explorer. Others argue that Italy was its birthplace, thanks to a tomb from the 4th century that is said to have included pasta-making equipment. While we may never know exactly who can take credit for the dish, we do know that for centuries it was considered to be a food only for the wealthy. Obviously, those days are long gone. Pappardelle: This wide egg noodle is best served with a hearty meat sauce; such as beef Bolognese. Shells: Definitely one of your most versatile pastas, shells are available in a variety of sizes, ranging from medium-sized, which work well with meat sauces and in casseroles to large, which can be stuffed and baked. Penne: Known for its tube shape and the diagonal cuts at both ends, penne goes perfectly with almost any toppings or meat sauces. Penne can be found in both white or tri-colors. Ravioli: These little square dough pillows can be filled with anything from seafood, meat, or veggies (along with cheese) and served with any type of sauce. Angel hair: These very long, fine strands are the thinnest type of pasta available. They work best with delicate sauces, such as broths or a light tomato sauce. They can also be cooked with oil and butter. Farfalle or bowtie: Bowtie pasta is often used in cold pasta salads, but it works just as well with creamy sauces, seafood, and tomato sauces. Fettuccine: These egg noodles are long, flat, and around ¼” wide, making them ideal for tossing with any type of sauce, such as alfredo. Linguine: Measuring about 1/8” wide, linguine is also a long, flat noodle that can be easily tossed with a sauce, such as pesto or olive oil. Rigatoni: These short, ridged tubes are around ¾” in diameter and 1 ½” long and are often used with baked dishes filled with chunky meats, cream cheese, and/ or veggies. Rotini: Spiral shaped, rotini is known for retaining ingredients and sauce. It can be tossed with tomato, vinaigrettes, and/ or a cream sauce or used in pasta salad. Ziti: Measuring at least 2” long and with a medium-width, ziti is best used in baked dishes and can be covered with olive oil, cream cheese, or a light tomato sauce. Lasagna: Unlike most other pastas, lasagna noodles can be found oven-ready (or no-boil) on your grocery store shelve. Overlap them with meat sauce and cheese for a delicious and filling meal. So, which one is your favorite pasta? Can Raw Onions Really Harm You? There are many theories surrounding the use of raw onions. Some people believe that taking raw onions could cause harmful effects. Not many of the speculations about taking raw onions have any basis in science and thus most of them are not true. First, onions come with a host of benefits to the health of the consumer and a lot of nutrition experts recommend taking foods with onions. Data from the Georgian Mateljan Foundation suggests that taking one to seven onions every week may reduce the risk of getting laryngeal, colorectal, and ovarian cancer. Eating more than one serving a day might help reduce risk of getting esophageal and oral cancer. 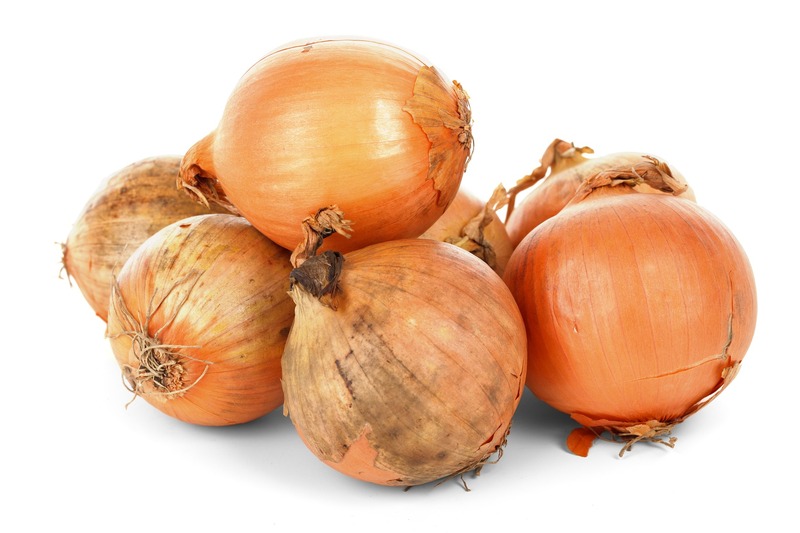 Onions have also been reported, from scientific tests, to possess qualities that help to reduce clots, boost immunity and act as an antibiotic, more specifically for oral infections. Onions have an anti-bacteria action that acts on hostile bacteria that could affect one’s oral health, and this is without interfering with friendly bacteria. Red onions contain Quercetin in high amounts, and this helps to boost immunity. Nutrition facts are prominently displayed on most packaged foods, but what exactly what do they mean? Basically, it gives you all the information you need on what nutrients are included in the foods. Let’s take a quick look at what the figures and percentages actually represent, as well as how you can be sure the information is correct. One of the most important things to understand about nutrition facts are that they usually only provide information for a small part of what is included in the package. You must look at the serving size to see how many servings are in the package. Unless you are eating the exact serving size that is listed, you will have to do a little bit of math to determine what you will be consuming. Start by looking at the number of calories that are included in a single serving. It is important to know how many calories you are consuming to manage your weight, whether you are simply maintaining your weight or lose/ gain. WHAT IS PERCENT DAILY VALUE? On the right side of the label, you will see the words “% Daily Values” (%DV). This is the percent of a nutrient that is provided by a single serving of the food you are eating. This is based on the Food and Drug Administration’s Daily Value recommendations for key nutrients for a 2,000 calorie daily diet. This helps you decide whether a food is low or high in a specific nutrient. A food is considered to be high in a nutrient if it contains 20% or more. A food is considered to be low in a nutrient if it contains 5% or less. HOW RELIABLE ARE NUTRITION LABELS? By law, nutrition labels must contain truthful information. It falls on the Food and Drug Administration to examine and enforce food labeling laws. However, manufacturers have the ability to choose what they highlight on the front of the packaging, which can lead to some confusion. For example, phrases such as “made with real fruit” and “all natural” can be misleading. As a result, it is a good idea to simply ignore the information posted on the front and turn to the nutrition label for the true story. “Be sure to drink plenty of water every day.” Chances are that you have heard this comment or some variation of it, on a regular basis for as long as you can remember. From doctors, nurses, parents, teachers, coaches, and even well-meaning strangers, everyone says it, but they almost never follow up with why. Finally, we are going to answer that question for you, as well as look at the different types of water. To truly understand the importance of water, you have to know a few facts about your body. Approximately 60% of your body is water. Your lungs are almost 90% water. Your brain in 70% water. Every day, your body has to replace 2.4 liters of water through ingested food and liquids. In simple terms, your body requires water to survive and function appropriately. For example, water lubricates and cushions your joints, while also protecting the brain, spinal cord, and other tissues. In addition, it removes waste through bowel movements, urination, and perspiration and helps you maintain a normal body temperature. You may be surprised to know that water is more important than food for your survival. In fact, while you can survive without food for more than a month, you can only live without water for around 7 days. That’s right! You can drink too much water, resulting in a condition known as hyponatremia. The excess water floods your body’s cells and causes them to swell. As your brain cells swell, you will begin to experience headaches, cramping, nausea, confusion, and convulsions. If your condition isn’t treated, you will can enter a coma and die. NOW, LET’S SWITCH GEARS AND LOOK AT THE DIFFERENT TYPES OF WATER. This is the water that comes straight out of the faucet. It has been treated, purified with chlorine, processed, and disinfected. In most cases, it has been fortified with fluoride. Distilled water is any form of water that has been vaporized and collected. This eliminates any solid residues, including minerals. As a result, distilled water doesn’t contain any minerals at all. You will rarely come in contact with deionized water. This is water that has had all ionized impurities and minerals removed from it. However, bacteria and pathogens have not been removed. Spring water is from an underground source and is the most common type of bottled water you will find. You may be shocked to realize that bottled water can come from anywhere. (In fact, retailers can simply fill a bottle with tap water and refer to it as bottled water.) Bottled water, especially spring water, may or may not have been purified and treated. According to studies completed by the NRDC (National Resources Defense Council), it is not unusual to find contaminants, such as arsenic, coliform, and phthalates, in bottled water. As a result, it is not necessarily the best drinking water, if you have other options available. This question isn’t as simple to answer as you might think. In most cases, tap water is the best drinking water, depending on its quality. To check the quality of your local water, you can check with the EPA. If it leaves something to be desired, your best option becomes bottled water. The Environmental Working Group has completed a report that looks at the quality of various bottled waters. This will help you decide which one is best for you and your family. From the Atkins Diet to the Vegan Diet, Raw Food Diet, and even the Cookie Diet, there are thousands of diets that claim to help you lose weight and keep it off. Unfortunately, for the estimated 45 million Americans that go on at least one diet every year, diets simply don’t work for very long. Wait! What? It’s true. Let’s explore this further. FAD DIETS ARE COMPLETELY UNREALISTIC AND THEY CAN BE HARMFUL. Fad diets, such as the cabbage soup diet, grapefruit diet, and strict vegan diets, are almost impossible to stick to for very long. After all, eating the same couple of foods day after day will grow old very quickly. Before you know it, your cravings for your favorite foods will take over and you will find that you are back to your old eating habits. In addition, fad diets do not teach you anything about the healthy eating habits you will need to develop if your goal is permanent weight loss. More importantly, fad diets have the potential to very dangerous to your health. In most cases, they lack the essential nutrients your body needs to function properly. Simply put, you need to eat from an array of food groups to get the nutrients you need. DIETS ARE ONLY A TEMPORARY FOOD PLAN. Here’s the thing….you will lose weight when you are following a diet plan. However, unless you plan to follow this diet plan forever, it will not work in the long run. Researchers have found that approximately 95% of people who manage to lose weight while dieting will regain it within 1 to 5 years. OVERLY RESTRICTIVE DIETS CAN SLOW DOWN YOUR METABOLISM. Diets that significantly decrease your daily caloric intake can send your body into a tailspin. Your body is designed to protect itself, so if it senses that you are starving yourself, it responds the best way it knows how. It slows down your metabolism which makes it even more difficult to lose weight. As a result, your weight loss is significantly hindered and you’re hungry. CONSTANTLY DIETING INCREASES YOUR CHANCES OF DEVELOPING AN EATING DISORDER. When you are on a strict diet, it requires stringent calorie counting and in many cases, frequently weighing yourself. This makes you more susceptible to developing an eating disorder. In fact, some experts believe that it makes you 8 times more likely to develop anorexia or bulimia. Yes, you will lose weight, but it will also seriously impact your health. If your goal is to lose weight and keep it off, you have to make a complete lifestyle change. You will have to learn how to replace your poor food choices with healthy ones, as well as identify your triggers for unhealthy eating and create a plan for effectively dealing with them. For some guys getting our own place is something that we have looked forward to since our early teen years. But, when we take that inevitable leap we are often left eating microwavable dinners, Ramen Noodles, frozen pizzas and other less than delicious meals. But, this does not have to be the case! With little to no cooking experience, a crock pot and a trip to the local grocery store, you can make your own easy, beginner, meals that will taste as if a professional chef cooked them for you, right in your own home. Take one package of boneless pork chops, one package of hidden valley ranch seasoning, and one can of Campbell’s Cream of Chicken Soup. Roll the pork chops in the ranch seasoning and proceed to fry on a hot skillet for about 30 to 45 seconds on each side, until both sides are whitened. Add the pork chops and your cream of chicken soup to your crock pot, and cook on medium for 4 to 6 hours. Whip up some mashed potatoes to add a second course to this delicious meal. For this delectable feast you will need 1 pound of beef roast, 2 potatoes, 1/2 cup of baby carrots, 1/2 yellow onion, 1 beef bouillon cube, and 1/3 cup water. Cut up potatoes and onions into somewhat large chunks and place them into the crock pot. Place your roast on top of the vegetables along with your bouillon cube on top of the roast. Add 1/3 cup of water, cover and let cook on high for 4 to 5 hours or low for 6 to 8 hours. These are two very easy to make meals that can cook while you are at work, at the gym, or just taking care of your everyday responsibilities. Another huge plus to cooking these wonderful meals, guys, if you have a date and would like to invite her over and cook dinner for her. You can easily create the illusion that you know what you are doing in the kitchen. And, lets face it women love a man who can cook them a good meal as much as a man loves a woman who can do the same for him! Enjoy! The topic of organic foods has become the center of a lot o debate lately. The cost of buying foods that are considered “organic” can often be significantly more than other food choices. So even if people did want to eat foods that were healthier for them, it is often hard to be able to afford it. To better understand whether or not buying organically is worth the extra cost, we should talk about what organic foods are. By definition, organically grown foods are foods that are grown, and processed for sale without the use of any type of chemicals whatsoever. The use of no chemicals is what separates organically grown food from other food types. Other foods types employ various chemicals additives while food is being processed for sale. These additives are used for many different things, including food preservation, and food coloring. Yes it is true that these foods can be healthier for you. However it should be noted that not all foods that are labeled as organic are totally free of chemicals. And it should also be noted that while it is true that there are chemicals included in a lot of foods we eat, doctors and researchers assure us that these levels are still safe enough for our consumption. Sometimes that turns out to not be true, but that is the exception and not the rule. Foods that are labeled as organic can cost up to three times as much as other foods like them that are not organic. This might not bother someone that has a lot of money to spend, but for someone who is struggling; it can make a significant difference. So the cost of organic foods may be worth it for someone who is doing very well for themselves, but for the rest of us, it can be too much to spend for too little. According to the Centers for Disease Control, an estimated 48 million Americans get sick as the result of a foodborne illness every year. Of these individuals, approximately 128,000 end up hospitalized, while 3,000 die from an illness that could have easily been prevented through proper food storage. The following quickly looks at several of the most common bacterial causes of foodborne illnesses, as well as what precautions you can take to prevent them. Salmonella is a virus that is most frequently associated with poultry, meat products, eggs, and unpasteurized dairy products and usually is passed from one person to another due to inadequate hand washing. Individuals will experience mild to severe abdominal cramping, watery diarrhea, headache, nausea, and vomiting. E.coli can be contracted through contaminated water, undercooked meats, unpasteurized dairy products, and raw fruits and vegetables. It causes severe abdominal pain and bloody diarrhea, as well as vomiting. Norovirus, often referred to as the stomach flu, is the most type of stomach illness and can be found in shellfish, produce, and ready-to-eat foods that have been handled by an infected person. Watery diarrhea, stomach pain, and nausea are the most common symptoms. Additional foodborne illnesses include cholera, campylobacteriosis, listeria, and botulism, but there are many others. It is important to understand that when foods that require refrigeration are left at room temperature, the number of bacteria that can cause foodborne illnesses can double every 20 minutes. However, taking the appropriate precautions can significantly decrease your chances of contracting a foodborne illness. Start by ensuring that your refrigerator is kept at 40°F or below, while your freezer should be set at 0°F. If your refrigerator or freezer does not display the actual temperature, it is a good idea to invest in a freestanding appliance thermometer and frequently use it to monitor the temperatures. While this is important, there are several additional measures you can take to prevent foodborne illnesses. When you return home from the grocery store, be sure to put away all frozen or refrigerated items as quickly as possible. It is never appropriate to leave foods such as eggs, refrigerated produce, seafood, raw meat, or poultry sitting out at room temperature for more than two hours. If the room temperature is 90°F or higher, it should not be left out for more than one hour. The two hour rule also applies to takeout food and leftovers. If your leftovers cannot be safely refrigerated within two hours, there is no need to try and save the food for another meal. It is safe to put hot foods in the refrigerator. To help them cool more quickly, divide the food among several smaller containers. When marinating foods, you should be sure to leave it in the refrigerator. Bacteria rapidly multiply on food that is left out to marinate. Also, you should never reuse marinate as a sauce unless you have first brought it to a rapid boil.When storing cold foods in the refrigerator, they should be properly covered or stored in a sealed storage bag. In addition, you should never attempt to shove too much food in your refrigerator. The cold air must have room to circulate around the foods to keep them appropriately chilled. Unfortunately, there are going to be occasions when you lose power. What should you do in this case? If you know there is a good chance you will be losing power, place several large blocks of ice in the freezer and refrigerator beforehand. When your power is out, be sure to keep the doors to your freezer and refrigerator closed unless absolutely necessary to prevent cool air from escaping. After your power has been restored, check the thermometer in your refrigerator to make sure the temperature is still below 40°F. If the temperature has been above 40°F for more than two hours, the food is not safe to eat. Play it safe and throw it out! Assess your frozen foods, as well. If the temperature is 40°F or below or the food still has ice crystals attached to it, the food can be safely refrozen and eaten at a later time. It is not safe to allow foods to thaw simply by putting them out at room temperature. In order to thaw your food safely, place it in cold water, being sure to change the water every 30 minutes to ensure it stays cold. You may also choose to thaw food in the refrigerator or using the microwave. If you opt to use the microwave, it is important to cook it immediately after it has thawed. Foodborne illnesses can make you miserable. Adhering to the tips discussed above will substantially decrease your chances of contracting one of these illnesses.